More than 90% of consumers go online first when looking for a business, many will research 3 to 4 businesses before choosing. Would they find you? Would they choose you? Online is where people look for you, you need to stand out. Build an incredible Online Presence and Online Reputation to Dominate Online. 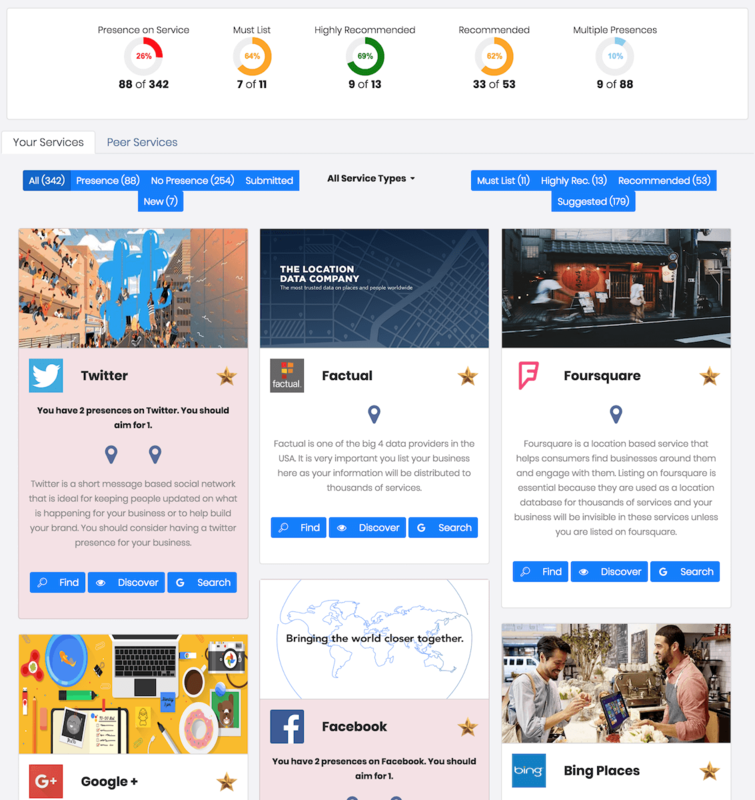 Build a strong online presence on the 100's of places where your customers go to find businesses like yours. 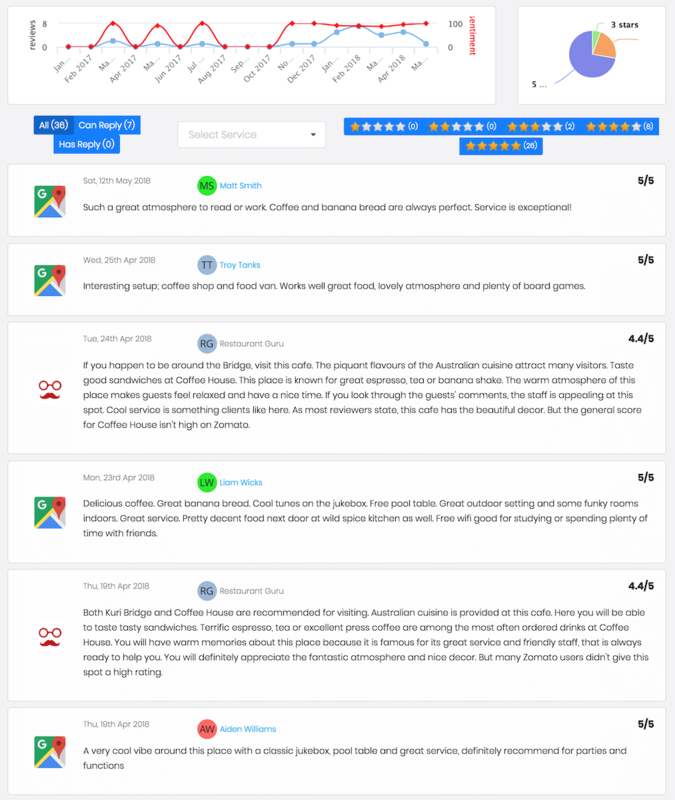 Manage and build your reputation everywhere through Ratings, Reviews, Photos and more. 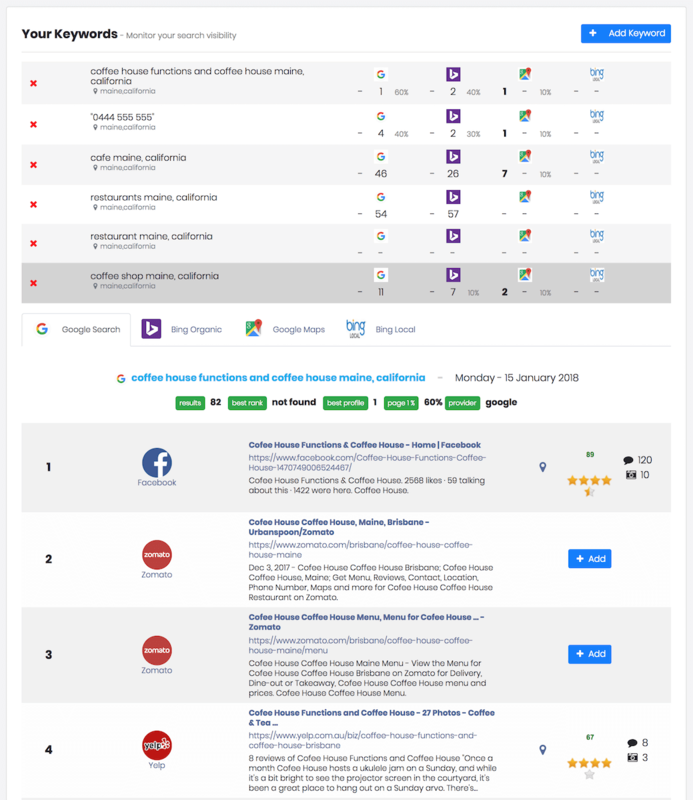 Ensure your business can be found in Local and Organic search by creating local citations and backlinks. Find a solution to help you work better or get some help from a pro. Find new ways to work better. We help you maximize your business's potential online so you get more business and stop growing your competitors. Get listed everywhere people look for you. Every profile should showcase your business. Get people to choose you over competitors. Curate one consistent message everywhere & improve rankings. Be found more often when people search. 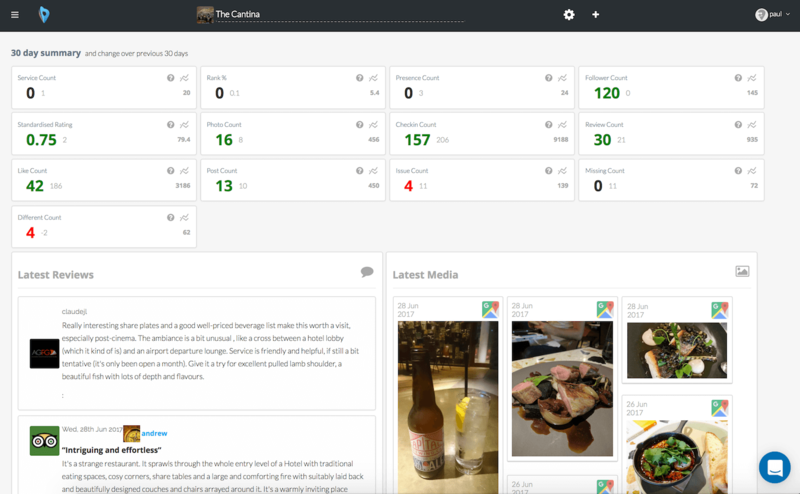 Grow and manage reviews, ratings, influencers, photos and videos. Connect with your online influencers. Use 100's of KPI's for you and your competitors to improve your business online. We monitor everything and alert you to anything you should know. 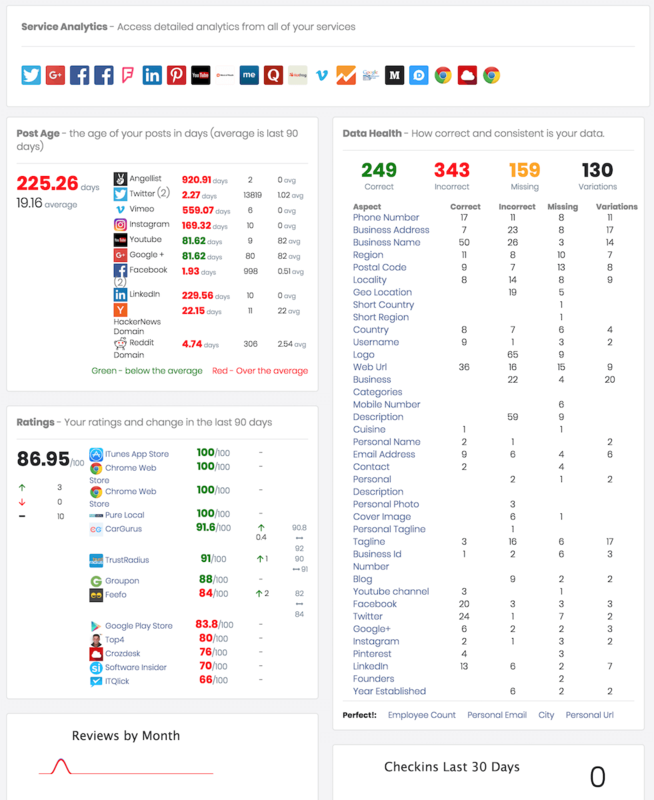 Compare everything to competitors around you. Find the best online tools for any problem or professionals who can help. We curated the best services and apps to grow your business online and help you get listed. Monitor all the keywords important to your business as you grow your online presence. 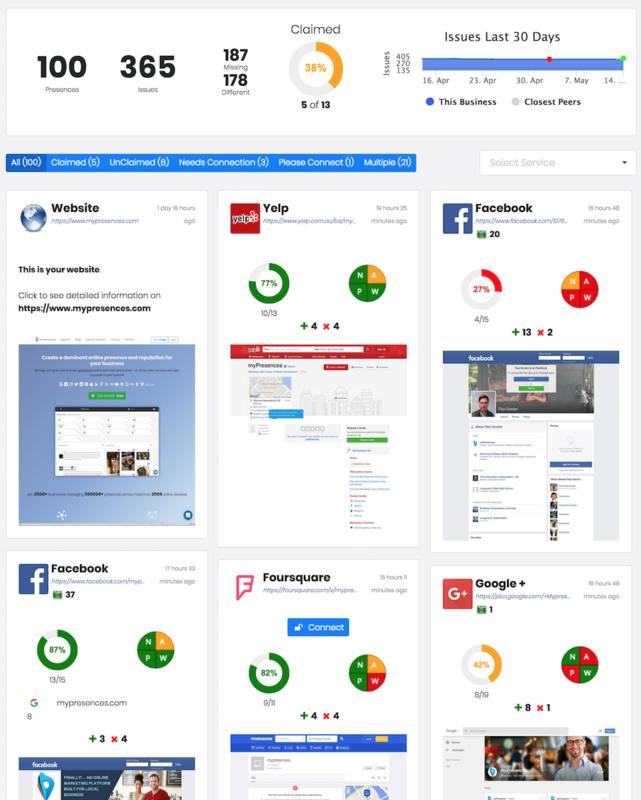 See everything important about how your business is performing online in one screen. Based on your business, business type and location we can optimize specifically for your business. We show you where your business should be listed and how to maximize the potential of every listing. Your Business Type not listed? We support many more. Join 2500+ businesses managing 300000+ presences across more than 2000 online services.